Posted on September 20, 2015 . 1 comment. In the earlier post when I made the reservation of the train. I chose to ride the late train because I didn’t know when GEM concert would be finished. So I I had to rush to Tokyo Station to book the new train after the concert was ended earlier than I expected at about 16:00. However all earlier trains were fully booked. To kill train waiting time. 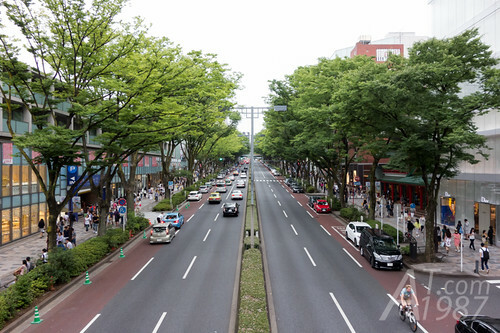 I went to the cafe in Harajuku where specializes in green tea. There were a lot of people on that day. Some were in the queues for metro to Arashi’s concert at Tokyo Dome. The queues were very long so people had to stand on the ground level. 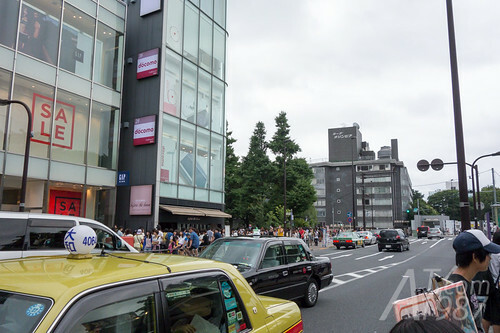 I walked along Omotesando Street and met Tokyu Plaza Omotesando where Nogizaka46’s Sekai de Ichiban Kodoku na Lover PV. The shop is in an alley beside GYRE. 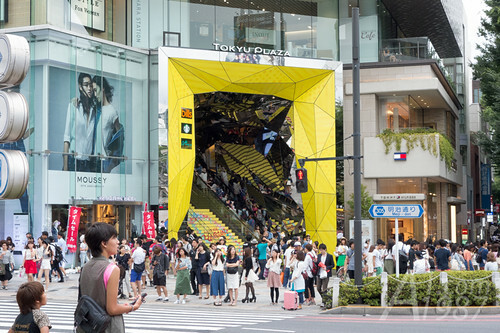 If you use the overpass near Omotesando Hills, the alley is on the right side when you go down the stair. Walk straight in the alley and turn left at the first intersection. Then walk along the path. 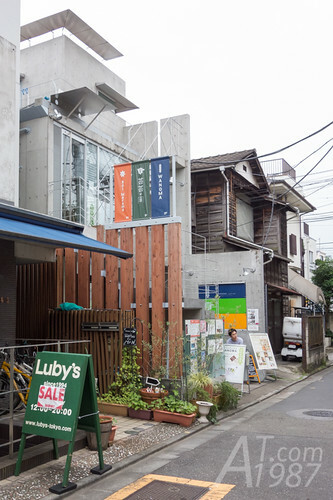 The shop is on the first floor of a modern looking building. 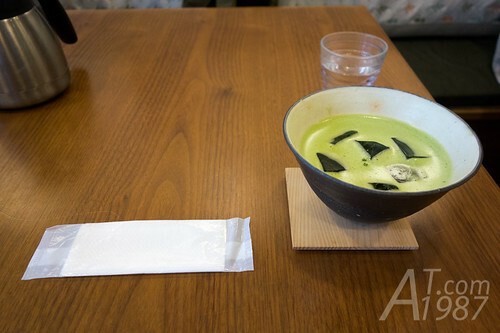 Mostly of its menu are green tea and desserts. 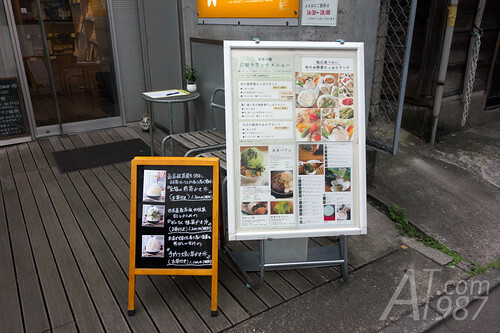 However it also serve meals during lunch time. To get in the queue. You have to put the name and choose what you will eat between desserts and meals in the notebook in front of the cafe. When waiters see off customers. They will check the notebook and call a person on the next queue. 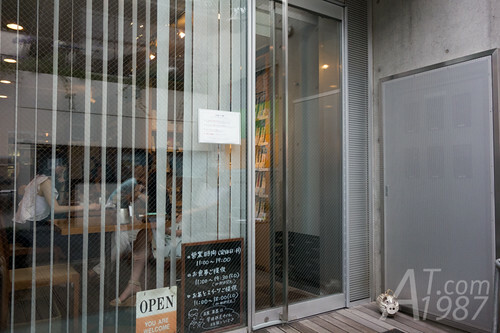 The cafe was full at the time I visited but I heard only people speaking with the low noise. It’s more quiet than I expected. Because I know this cafe from TV program Doki Doki Japan. I asked the waiter for the same menu as in the menu. I ordered Cha Cha Parfait and cold matcha set. I chose the matcha flavor for ice-cream in parfait. To my surprise. 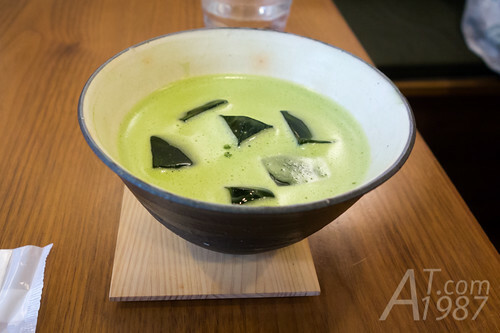 Cold maccha is served in the same tea bowl as the one used to make a hot matcha. Ice cubes are added to make it cold. At first I think it will be served in the glass. While I was waiting for my parfait. 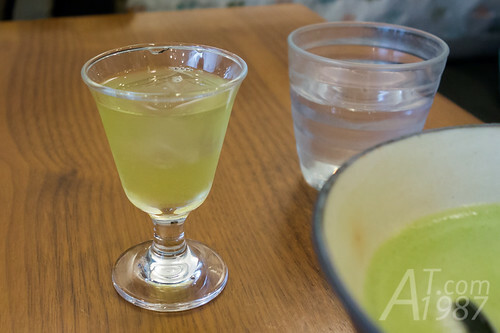 The manager served me a cold sencha on the house by himself. I feels a little sweet in the throat when I drank. This is from the tea leave itself. Very refreshing. Waitress moved my tea bowl and cup to the tray when she brought me Cha Cha Parfait. Before I began my drinking. I asked manager if there are any guideline to drink a Japanese tea. He answered usually drinker have to turn the side which has the graphic on the bowl to him. Then drink the tea from that side. However the bowls used in this cafe don’t have any graphic printed on them. So he told me “Just drink!” in English. 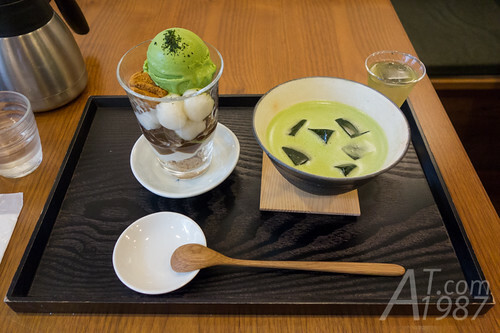 I used to eat green tea parfaits from many cafes and restaurants in my country. I never see the parfait that a lot of toppings are put on like this before. 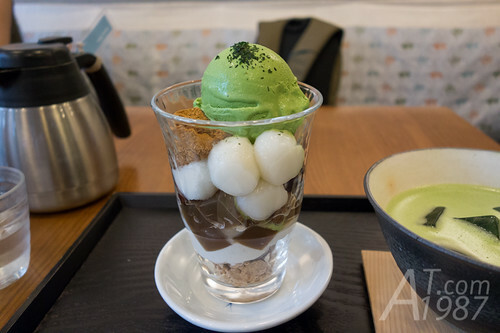 In the glass there were matcha ice cream with grind tea leave, red bean, warabi mochi, big shiratama, agae jelly, milk moose and chocolate cereal. I fall in love after the first bite. Matcha ice cream taste isn’t sweet but it isn’t too bitter. It really goes well with other toppings. Overall taste is sweet but the bitter maccha help reducing it. Matcha is very thick so I can added a water to make another 2 bowls. The taste isn’t too bitter like the first bowl. After I left the cafe. 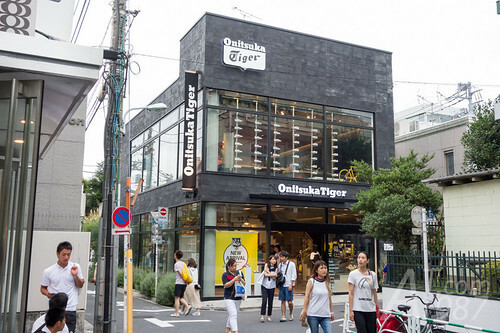 I stopped by Onitsuka Tiger where is on the opposite alley on my way back to Harajuku Station. Unlucky the color of shoes I wanted were sold out. Next time I will write about my first experience on Shinkansen train. Please look forward to it.